Giving a homemade Christmas gift is not only thoughtful, but it can also help cut back on your holiday budget. These DIY Hand warmers would go perfectly in a gift basket filled with a blanket, hot cocoa mix and a mug. 100 Days of Homemade Holiday Inspiration continues with Day 38! Each day we are inspiring you with recipes, decorating ideas, crafts, homemade gift ideas and much more! Our weather here in Indiana is cold and snowy during the Winter. Last year was the worst ever and we are expecting a terrible Winter again. 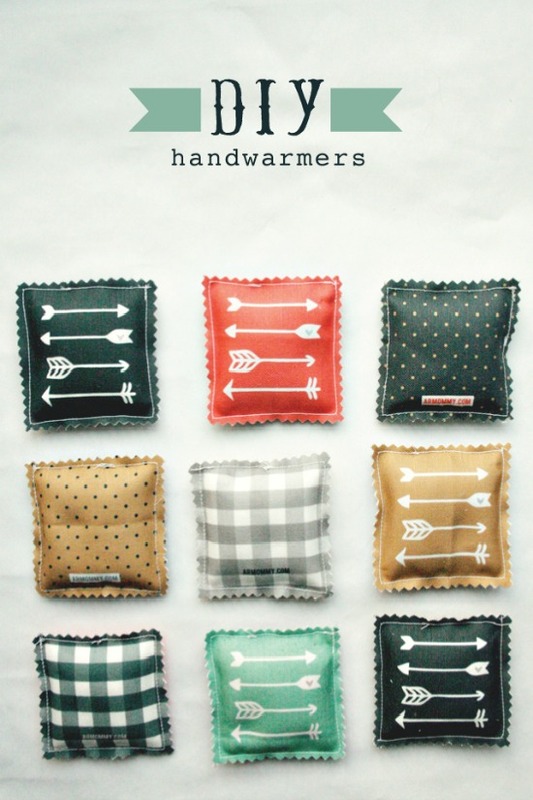 These hand warmers would be very helpful. My office is super cold and my hands are freezing most of the time. Thanks to Rae from RaeAnn Kelly for sharing this great project with us for our 100 Days of Homemade Holiday Inspiration! I am seeing this over and over again now. I love these! 🙂 They are going to be a great stocking stuffer. So glad you like them Lauren! I’m planning some for stocking stuffers too.